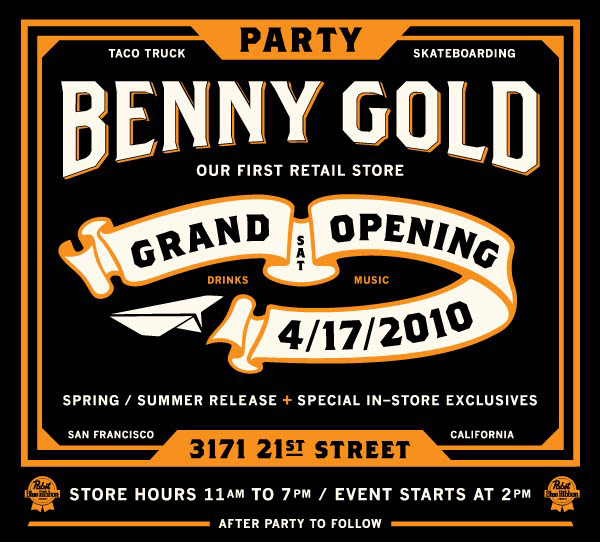 The first Benny Gold retail store in San Francisco will open its doors in three weeks time, April 17th to be exact. The day will feature skateboarding, live music, some taco truck action and will feature the release of Spring/Summer as well as some in-store exclusives. So if you're in the Bay area make your way to the Mission District and pop in at 3171 21st Street.